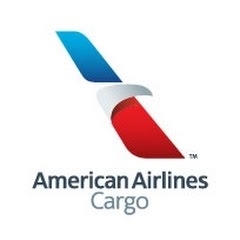 American Airlines Cargo | Contact – Expedited parcels delivered to the United States, Canada, Mexico, Latin America, Europe, Asia and Asia Pacific regions. Send parcels that weigh up to 100 lbs or 45 kg’s each. Pack your parcels well in to secure boxes or containers that will be able to withstand handling multiple times. A general rule – Parcels must be able to withstand being dropped from a 12 inch (30 cm) height and 30 seconds of rain without any affect to contents. A wide range and variety of goods and items can be sent including live animals, business and personal items, perishables, Medivac, high value cargo and some dangerous goods among others. See website for more details on what can be shipped and where. Military Discount – American Airlines offers 50% off all pet shipments to active United States military personnel and their dependents. Track your parcel using your 3 digit airline code along with your airway bill number to get up to date tracking information and location of your precious cargo.